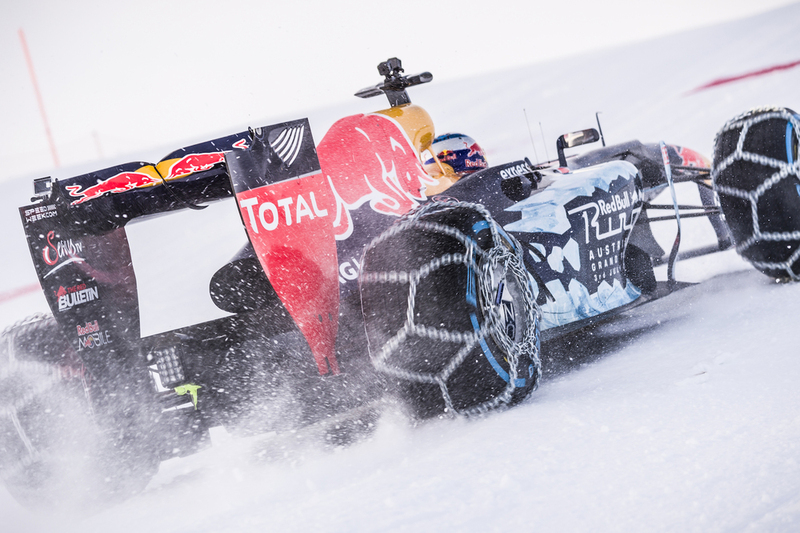 Why stick to the road when you can take your Formula 1 to the ski slopes? Kitzbühel was turned into the setting of the first ever F1 showrun at an Alpine peak on Thursday. In the build-up to the legendary Hahnenkamm ski races, Max Verstappen unleashed the power of a Red Bull Racing world-championship winning car. 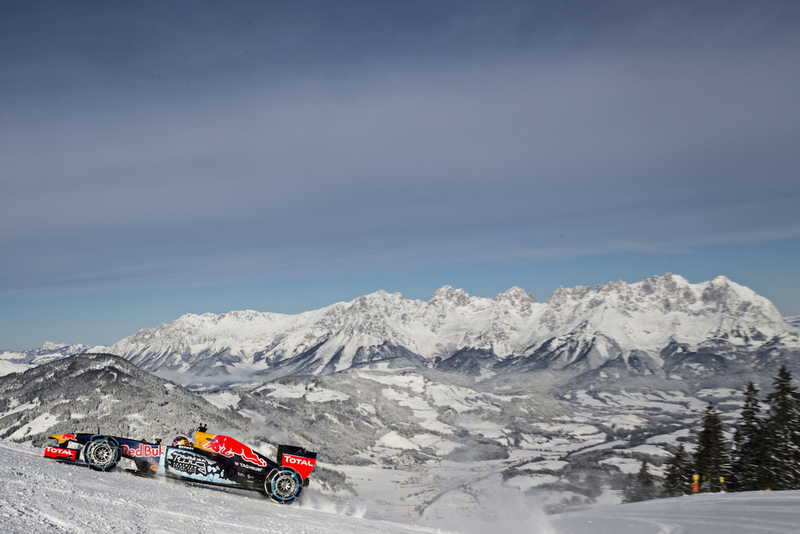 Supported by 3,500 spectators, the Dutch driver provided a spectacular foretaste - amid splendid winter weather – of the 2016 Formula 1 Großer Preis von Österreich at over 1,600 metres altitude. Austrian F1 legends Gerhard Berger and Helmut Marko didn’t want to miss out on the first time a racing car has taken to the snow at the Hahnenkamm. 2016 may only be a few days old, but F1 has already made its presence felt before the season starts. 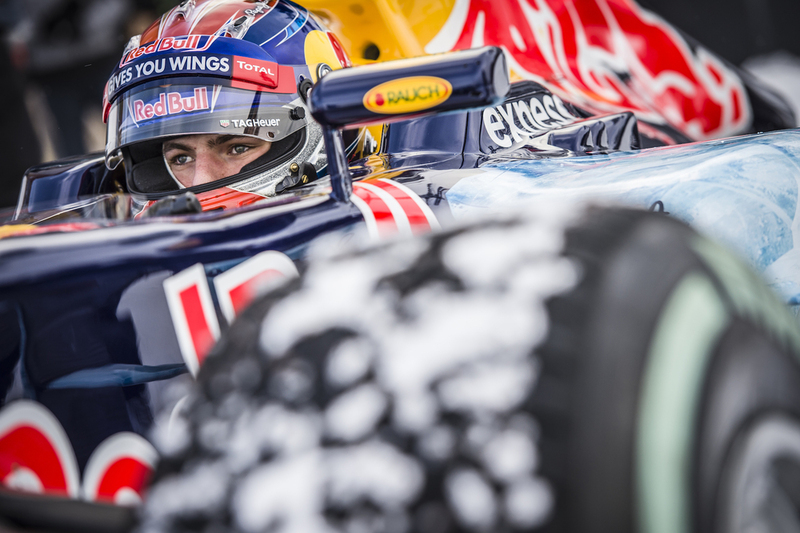 Max Verstappen put in an impressive performance in an F1 car amid an Alpine landscape in the build-up to the Hahnenkamm ski races at the legendary Streif ski run in Kitzbühel. 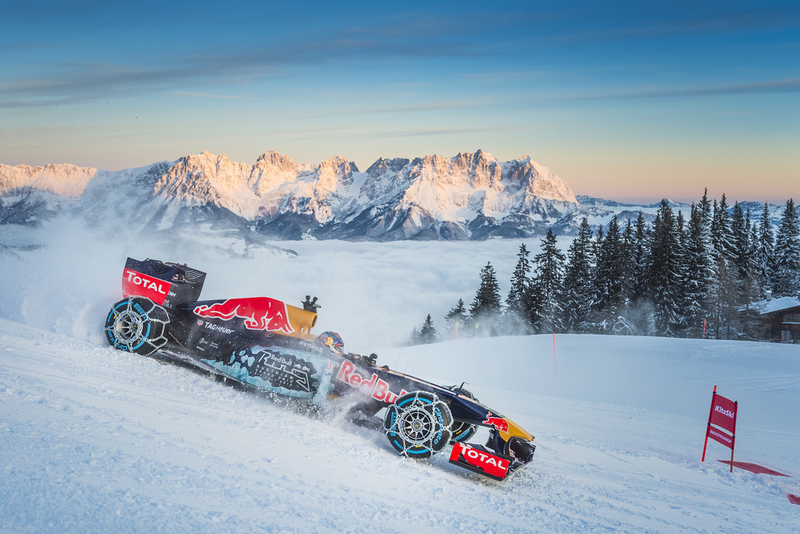 The awe-inspiring sound of the Red Bull Racing world-title winning car with snow whirling around several metres into the air at the back delighted the 3,500 people watching at the edge of the circuit marked by ski gates. The Red Bull Racing technicians had a real challenge in setting the racing car up for the special event. Some specially made snow chains played a big part in ensuring the first Formula 1 show run on an Alpine peak was possible. The sensational images from Kitzbühel, with a snowy mountain backdrop around the Hahnenkamm, are set to be seen around the world. Gerhard Berger and Dr Helmut Marko did not want to miss out on the opportunity to come to Tyrol for this original event, and were clearly excited. “We don’t think about why things aren’t happening, but rather how they can happen. Since I’ve been at Red Bull, I am hardly surprised about anything anymore, but this show run today was quite something,” said a laughing Helmut Marko. Being a legend from the local Tyrol region, Gerhard Berger wanted to ski to the media talk at the Red Bull Energy Station, where he was full of praise, saying: “Kitzbühel is known for unique events, and Red Bull too, of course. Max has done his job superbly. He performed wonderfully in his first season. If he keeps on like that, he will be a Formula 1 World Champion one day,” said the F1 legend.